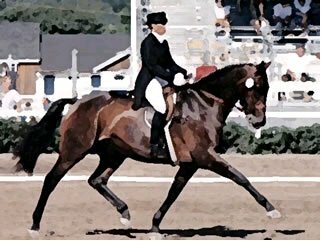 The primary focus of this new group is Dressage education, progressive training, and advancement up the levels of USDF Dressage for members and their horses. All activities of this group are carried out with these goals in mind. Members are encouraged to set their riding standards high, and believe that they can achieve their goals through hard work and dedication. To this end there is a variety of ADU supportive workshops and clinics, training sessions and programs, educational get togethers (such as dressage video viewings), social get togethers (such as traveling together to dressage related events), and many special events and projects. There are informal practice shows (with an educational element added) and, of course, USDF recognized shows. All of these functions transpire in an atmosphere of mutual support and FUN! Hard work can be fun, and is made easier when it is amongst friends with the same objectives and goals. Dressage is a life-long learning process requiring a lot of discipline and often resulting in slow progress. The slow progress part can be really frustrating over the long haul, and a support system such as the ADU Dressage Unlimited can be a life line for the aspiring dressage rider. For the benefit of our members, ADU has developed an innovative training and educational program called “ADU University.” As far as we know, there is no program set up like it anywhere in the country. This program lays out pathways of dressage education and training for our members to follow for that year. It is composed of 5 levels of commitment for “students” to choose from if they wish to participate. Feedback from students in this program has been outstanding! Unlike most GMO’s, Austin Dressage Unlimited’s end of year awards program is NOT be based on who amongst its members has the highest scores at a level. ADU members are not competing against each other, but are only competing against themselves. 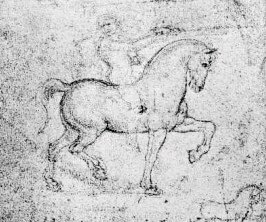 ADU honors those members who have achieved their goals of successfully progressing up through the levels of dressage. Riders who complete the requirements are recognized as part of the ADU “Level Headed Riders Program.” Members earning the prestigious USDF bronze, silver and gold medals are also honored, and are inducted into the ADU “Medallion Club.” Volunteer and special recognitions are given as well. The basic organizational structure of Austin Dressage Unlimited is also very uncommon. This club does not have a typical board of individuals elected to many individual positions, which can lend itself to accusations of personal agendas, barn take-overs, etc. Instead. ADU’s board is actually composed of teams and committees of interested members with two co-chairs appointed as spokespersons for each organizational team. This unique design is in keeping with ADU‘s purpose of working together to achieve goals and promote dressage education and training. Austin Dressage Unlimited has fast become a very popular and beneficial dressage organization to be a part of. More unique, educational, and FUN events are being planned continuously for members throughout the upcoming years. Please join us!